Past life loves are a mystery that can be unravelled with study. They can provide insight and answers concerning the life that you are living now. The same is true with love. Love is a mystery that needs to be unfolded. 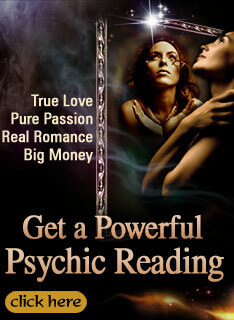 The examination of your past life loves will offer you the keys to understand your current love life and others that will occur in the future. Why does it matter what past loves you had? They affect your current relationships. Relationships can be difficult. Especially if you find yourself in unhappy ones while others around you see happy and fine. Past hurts and negative relationships can impact how you are looking at relationships today, especially if you are still holding on to those feelings. The subconscious is a powerful entity and it is there that your past lives are stored. Periodically, depending on your perception, a piece of your past life emerges. If you were hurt in another life time or hurt someone else that you loved, the consequences of these actions have ripple effect on your life. This is a principle of karma. They determine your soulmates. Past life regression can bring you closer to your soulmate. It is believed that there is not only one soulmate, but many, and they can be interwoven throughout your past lives. A soulmate is not necessarily a lover, but one that walks the same path as you. One with past life ties to your being. Someone with a past life tie to you may meet you in this lifetime as well. Hypnosis and past life readings show you how to keep your eyes open in order to connect with that person in this lifetime. They affect your future relationships. If you believe in reincarnation, then you know that this life is not your last. It is important in this life to grow your soul in order to quell the mistakes from past life experiences. Rather than make the same mistakes over and over in your future lives, open yourself up to change and allow yourself to grow. If you feel like you are getting nowhere in your current love life, then you should consider past life regression. Past life therapy will serve to open your mind and your soul. Even if there is a negative connection, your soul can still heal and grow from that. Past relationships can change your outlook on life and this could be what’s stopping you from becoming happy in this lifetime. When you listen to your heart and your soul, only then can you move on and become truly happy. Whether you are connecting with a soul mate, or choosing to walk alone on your path, your past lives will have an effect on how you live present and future lifetimes. Looking at your past lives may be difficult as you see the incorrect choices that you have made, but it will only serve to open your soul and let you avoid these mistakes in your current lifetime as well as your future lives. We are all deserving of love, in any and all of our lifetimes. Past lives? Yeah and the cow really did jump over the moon. I'd like to throw a pie in the faces of those so-called new age idiots and their preconceived notion that we've lived "multiple lives." Shirley McClain is about the biggest douche bag, delusional, a complete nutcase! Oh, we humans are products of those little green men from mars, right? Sylvia Browne and the rest of her brain-dead ilk continue to rob common sense and rational thought from the weak, immotionally distraught and feeble-minded. Give it up people we're here all alone. We come into this world alone and we die alone. It's time to take the mystery out of the equation. Apply some science to the matter and it makes perfect sense to the laws of nature and evolution. We're here by chance just like everything else. God? Phooey! Well I know I had many past lives and even a psychic in my home town who doesn't work like other psychics do told me that. What I do know is I will be reunited again with soulmate number five a man I always felt connected but couldn't explained why. It was more like we were friends and than years later I looked back and there is ONE single thing he ever done that made me think he was evil, twisted or just negative energy. So obviously the evidences was there for me to not see but feel but I was so wrapped up with family emergency that it never occur to me I didn't have to come back to the states. If I had stay back home I would be happily married to this man now. Anyway, some people made claims they can't be with their soulmates because they're with other people. Ok, if children grown or no children and that soulmate's marriage is not a happy one, who is to say they can't divorce and be with the person that will complete their happiness and contentment? I'm not encouraging cheating but with the high divorce rates in the states that speak volumes that too many who think they found their soulmates didn't. I read Linda Goodman's books and found many things that was interesting about past lives. There are other great books people should check up on like go to their local libraries. Does the bible REALLY say, in no uncertain terms, we only get one life? I'm not a biblical scholar, but I don't know where it says that. A lot of people think it's true, tho. Does anyone know? MY thought is that the original church believed in reincarnation and that over the years, another meaning was given. I recall things and places that didn;t happen in this lifetime. I've gone to cities for the firt time in this lifetime and 'known' my way around. It's kind of spooky. Struggling through this past life Karma. A woman and I connected strongly with parallel life experiences. I know we fell for each other for the way she made me feel, and for the way she behaved while around me. Then her family returned from holidays and she changed completely. That happened in 2006. I feel like I lost something precious, and think she feels the same way (through symbiotic connection? ), and she is being controlled by her family. Do you call what she is doing as Karmic debt to them? This pain is manifesting in reality, and I doubt seeing life the same way I did before I met her and while we were together. Candi alone can have the answers for this. Because these self raised questions can be addressed only by persons who have raised it. I too have had feelings like this before. But at any cost, i will not allow anything to change my mind or my love towards my soul mate. i know why was i attracted with my soulmate after understanding to the core. So nothing could change me. Past lives.... This subject absolutley fasinates me. I want to learn more. I decided when I get caught up on finances im going to Washington State or to California when the Past life Regression classes are available. This type of study would be amazing!!! Im wondering if it would take alot of meditation or a certain type of meditating?? I dunno...I just think it would be so personally moving to find that not only I did have other lives but to know what kind?? man or woman...what a blessing of knowledge that would be??? What answers that would bring to the table!!! .....ya think?? Its true that past lives will always have a impact on your present life. Especially in the love life. For a continued relationship, when they fight or at a point of having a break up, just think about your joyous moments in the past. This will give a reviving thoughts and will not allow you to have a break up.